Husqvarna ST330 has been developed for landowners who need an ergonomic, high-capacity, robust and durable snow thrower that comfortably clears large areas. It has been designed for frequent use in all snow conditions, 15-60 cm. The two-stage system, friction drive, power steering, high capacity belt system and extra large tyres ensure easy operation. 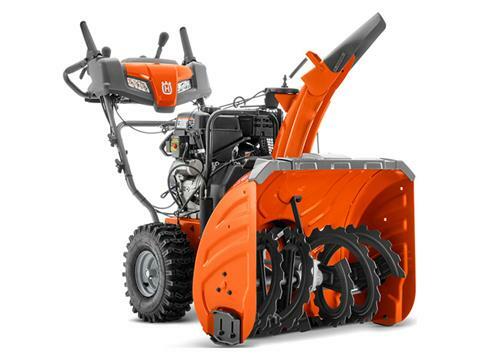 Throughout, it has heavy-duty components for maximum durability in all conditions, such as its robust auger housing with tie strap auger support, cast iron auger gear box, and cast iron impeller. Features loop handle, heated handle grips, LED headlight, electric starter and industry exclusive hight adjustable handle for comfortable work in all weather conditions. TWO-STAGE SYSTEM: Snow is fed into the housing by an auger screw and then discharged through the chute by an impeller fan. HEIGHT ADJUSTABLE HANDLE: 4 steps height adjustable handle for ergonomic operation. POWER STEERING: Convenient trigger control power steering allows superior maneuverability in adverse conditions. HEAVY-DUTY AUGER HOUSING: The robust and durable auger housing gives sturdy operation, efficient snow clearing and long product lifetime. CAST IRON IMPELLER: The impeller has four blades, which is unique on the market! The cast iron ensures maximum durability. AUGER WITH COVERED BALL BEARINGS: For smooth running and long product lifetime. ELECTRIC STARTER: Connect to a power outlet and start the engine by pressing a button. When the engine is warm, it's easy to get going with the starter handle. ADJUSTABLE SKID SHOES: Makes it possible to adjust the space between the auger housing and the ground in order to protect the ground/surface. DRIFT CUTTERS: Adustable drift cutters direct deep snow into the auger housing for clearing. HEAVY-DUTY AUGER: The robust auger gives first-class results operating in frozen as well as in extremely wet snow. BORON STEEL SCRAPER: High-strength scraper for optimum durability. DEFLECTOR EXTENSION: Gives improved operating conditions in extremely light and dry snow as well as making snow clearing in windy weather more comfortable. CAST IRON AUGER GEARBOX: Heavy-duty auger gearbox for maximum durability (10-year warranty). 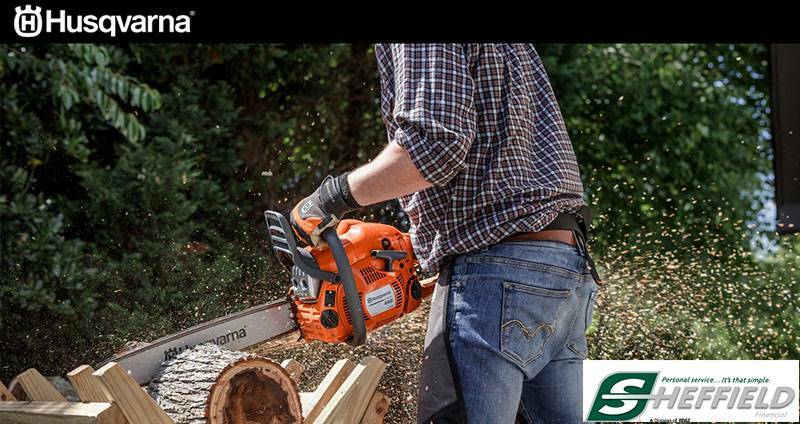 TIE STRAP AUGER SUPPORT: For improved stability and durability. HEAVY-DUTY COMPOSITE AND METAL SKID SHOES: Both composite and metal skid shoes are included, for user's own choice.